Soft pretzel with a lye glaze. Thaw & Serve Pretzel. 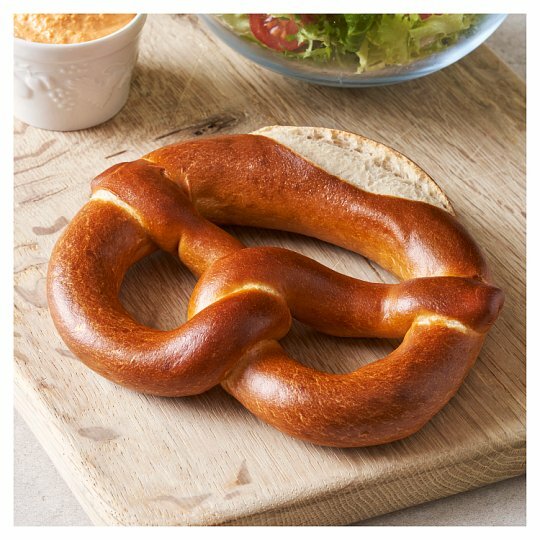 This soft, hand knotted German Pretzel is made from a simple recipe for a soft, chewy, authentic texture and finished with a ‘lye’ glaze for a moreish salty taste. Contains barley and wheat. Our bakers prepare a variety of products in our bakeries, this product may also contain peanuts, nuts, sesame, egg, soya and other allergens For allergens, including cereals containing gluten, see ingredients in bold.